-1836 Sq ft, 3 bedroom, 2 bath. Sleeps 10. Rates from $249 per night. 5 day, 7 day and multiple property discounts!! The Location of this property is truly incredible! It is surround by approx. 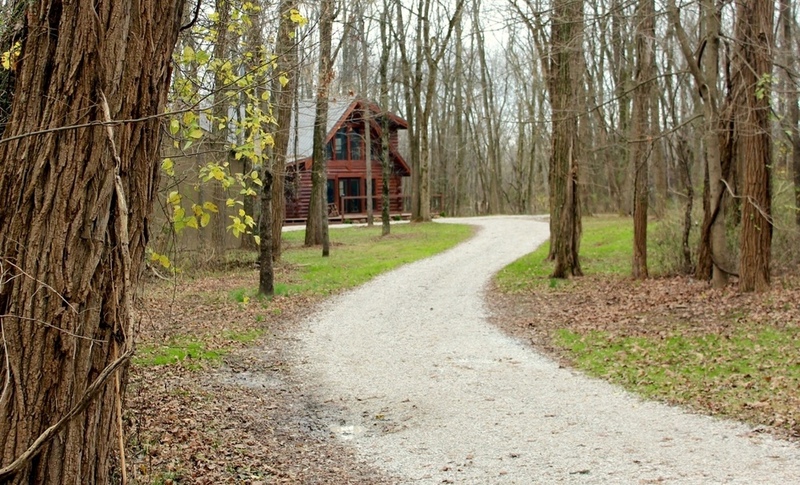 6000 acres of unspoiled Indiana wilderness. It is bordered on 3 sides by Shades State Park and Pine Hills Nature Preserve. 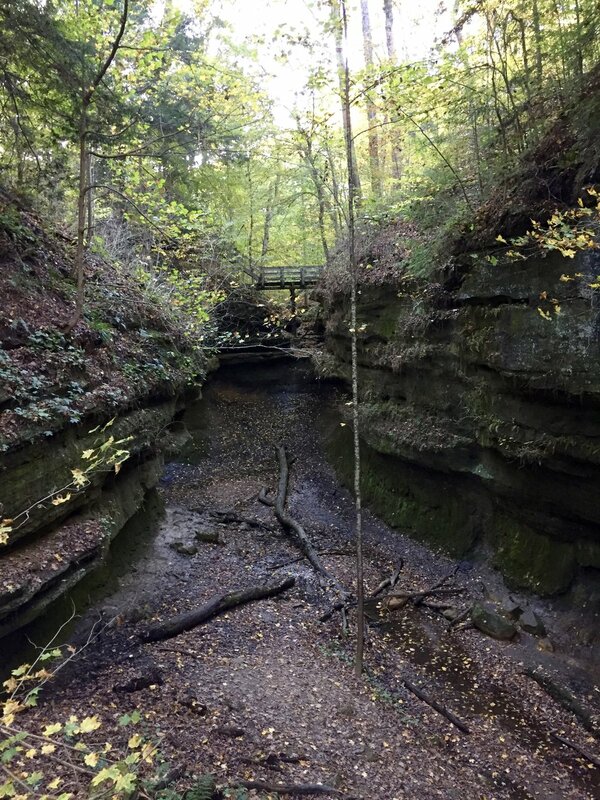 It is also 10 minutes from Turkey Run State Park. 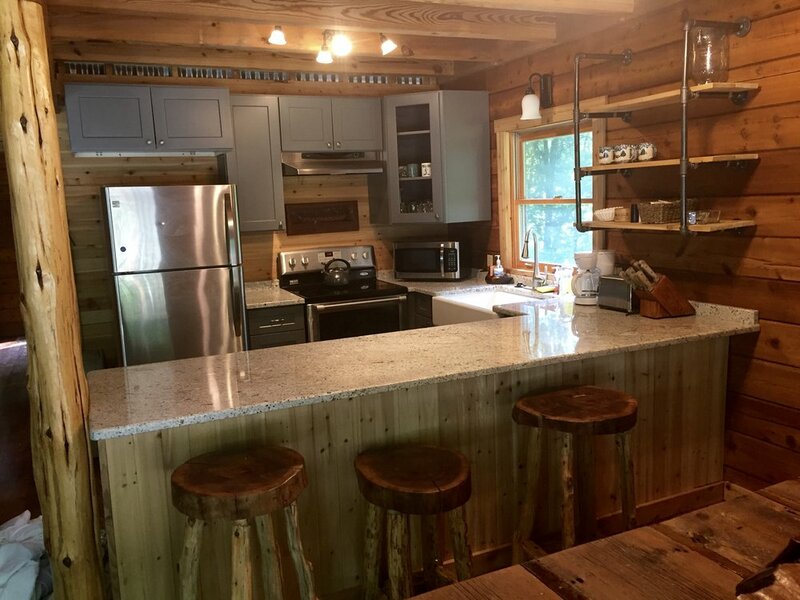 The cabin has 3 bedrooms, 2 bathrooms, a large loft, a covered porch with swing, a fire pit and large 24x24 patio with a propane grill. The bedrooms consist of 1 queen in the master which is on the 2nd floor, 1 queen in the lower bedroom 2 and the bunk room has 1 full and 3 twin beds. The 2nd story loft has a large couch and and living room has a double reclining real leather couch with a large reclining real leather chair. 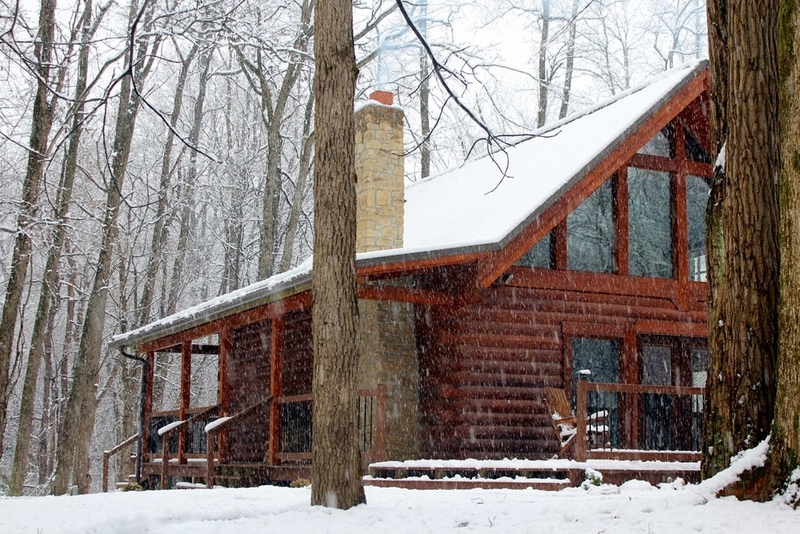 $249 per night and $268 for Friday and Saturday during off peak season. Rates are for 8 guests and a $10 per person per night charge is added up to a max of 10. -Click/hover on the Calendar below for all rates and discounts. -Tax is 10% for Inn Keeper and Sales. -$100 Refundable Damage deposit and is only charged as a "pre-authorization" so you are only charged if there is damage. The pre-authorization is charged the day o check in. -Pet friendly and no pet fee at this time. Please be respectful of the next guest. -30 day cancellation notice for a full refund.